To hard erase iPhone is when you erase everything on your iPhone. In other words, it sets your iPhone back to its original factory state. There are a few different reasons that someone might want to perform a hard erase. Hard erase is beneficial when you just want to give your phone a fresh start, or when you want to sell your phone. But how do you perform a hard erase? Today we will teach you! Step 1: On your iPhone, go into Settings. Step 2: Tap on “General” and scroll to the bottom until you see the “Reset” option. Click on it. Step 3: Tap on “Erase All Content and Settings” and then “Erase iPhone”. 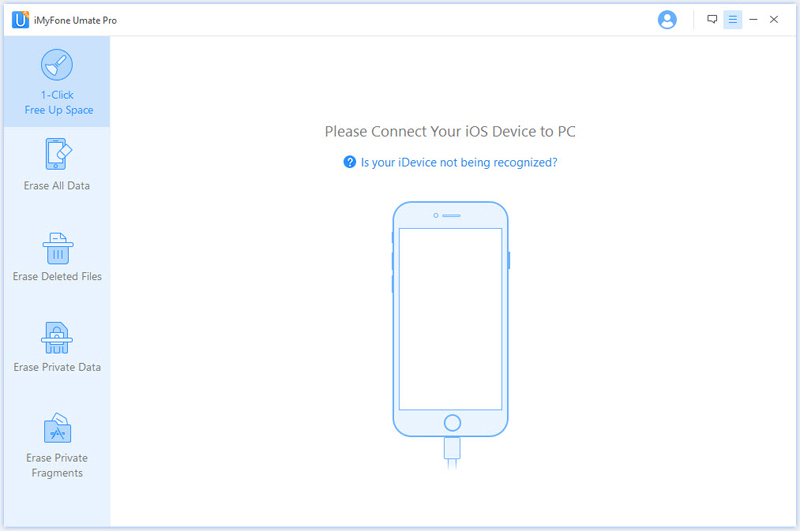 Step 4: Wait for process to complete, and “slide to set up” your iPhone. Note: This method will completely erase all of your data. Ensure that you have any important contacts, media, information, or data backed up before performing this hare erase iPhone steps. Step 3: In iTunes, click on the iPhone button. 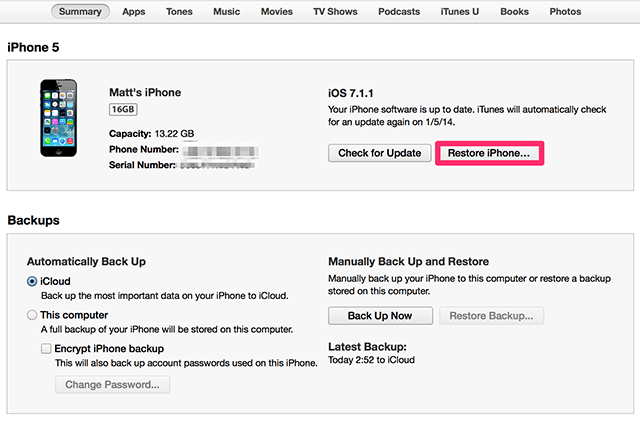 Step 4: Under the “Summary” tab, click on “Restore iPhone”. Step 5: Backup all of your data if necessary. Step 6: Click “Restore” and wait for process to complete. Again, this will completely erase all of the data on your iPhone. If you haven’t already, be sure to create a backup of your data when prompted by iTunes before continuing on with the reset process. We mentioned that the two methods above will completely erase all of your iPhone data. This is true - but only to the human eye. When using the two methods of reset above, your information is actually still accessible, even after a complete reset and erase. This is because while the data is erased on the surface level, it is still stored deep down in the memory of your phone. So while the average user may not be able to retrieve your data, hackers can. 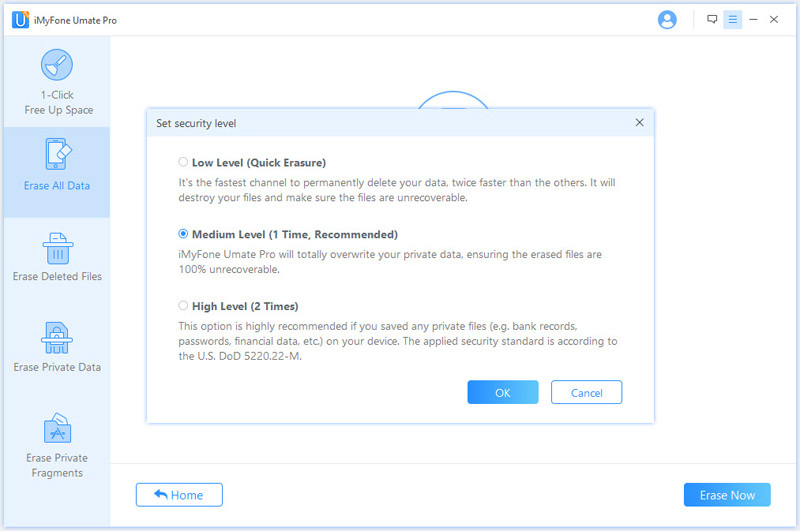 Luckily, there is a way to permanently erase all of your data to the point where it is unretrievable - it’s called iMyFone Umate Pro for Windows or iMyFone Umate Pro for Mac. What can iMyFone do for you? Hard erase your iPhone so that no information is retrievable, even with the best hacking software. Provide you with a 0% recovery rate for messages, contacts, call history, photos, videos, etc. Secure your private data when selling, recycling, or donating your iPhone. Protect your personal information by erasing all data or only specified data. Step 1: Connect your phone to your computer using a USB cord. 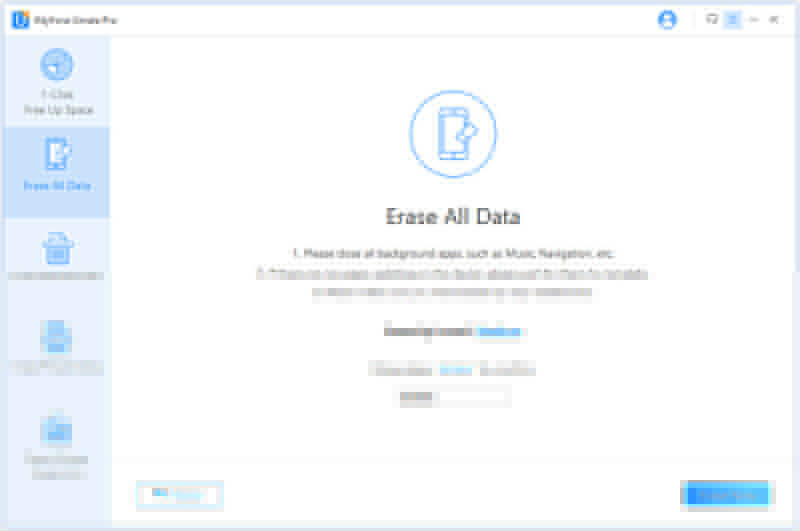 Step 2: In iMyFone, click on “Erase All Data” tab and click “Erase”. Step 3: Type “delete” in the box to confirm your decision. Step 4: Select your security level and confirm. Step 5: Click “Erase now” and wait for process to complete. 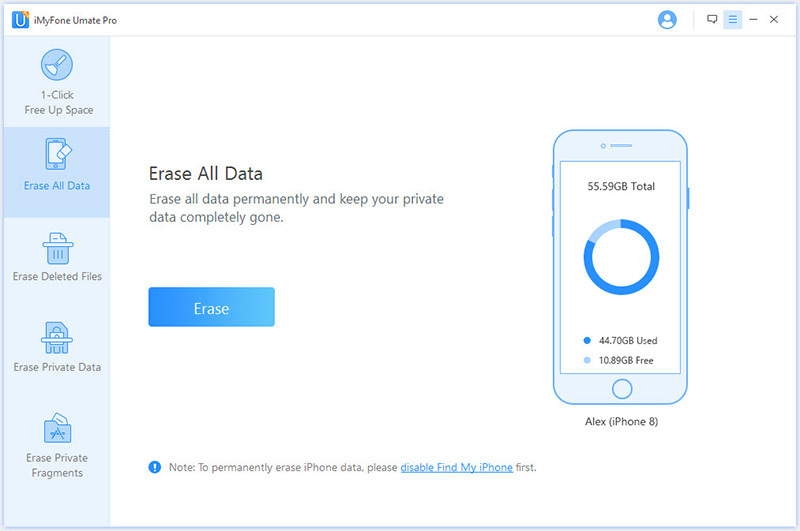 Note: This process will PERMANENTLY erase all data on your iPhone. Unlike with other methods of hard erase, this method does not leave room for recovery. Make sure all of your information is backed up before performing a reset/erase with iMyFone. There are several different methods you can use to hard erase your iPhone. The method you choose should be based on what your intentions are. 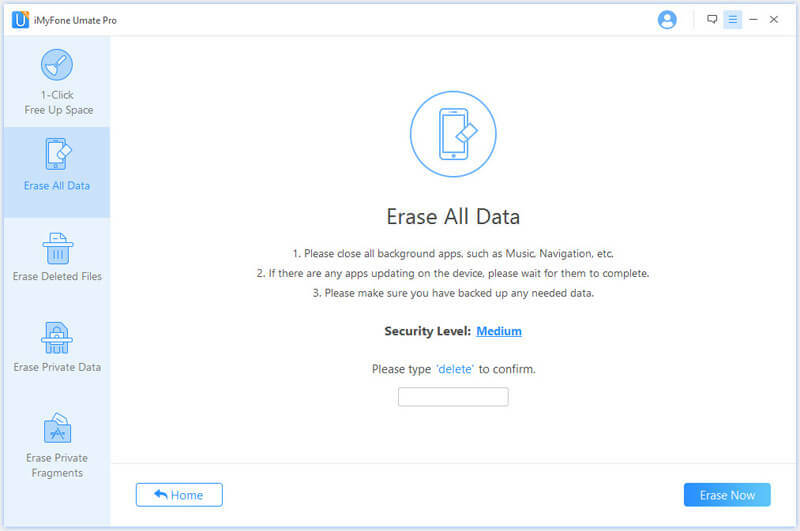 If you are just giving your phone a simple refresher, you can erase your data on your phone or iTunes. But if you are looking to sell your phone, it is suggested that you use a more secure method like iMyFone that will permanently erase all of your data and leave no room for hackers to intrude on your personal data.